Let’s face it, well pump equipment fails at the most inopportune times. Your friends and family are coming over from out of town and you can’t reschedule or change the venue and you certainly can’t be without water. Toilets don’t flush, sinks don’t work and cleaning the house is impossible. OPS has several 725 gallon potable water trailers with integrated pumping systems. 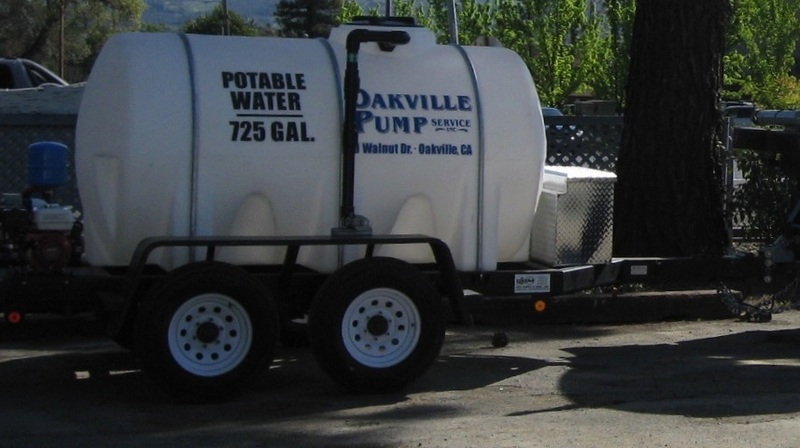 Wether your well pump is dead or your water tank is empty, our 725 gallon portable water trailer is equipped to connect to your house and keep your water flowing until repairs are finished. Whether you need portable potable water for a bike race, party or wedding, we have portable a solution that will will provide pressurized, portable water for your event needs, where-ever it may be!